Planning A Holiday Party? Check Out Aldi! You are here: Home / Great Deals / Planning A Holiday Party? 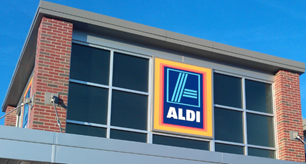 Check Out Aldi! I was asked to go to Aldi and purchase some fun holiday items. 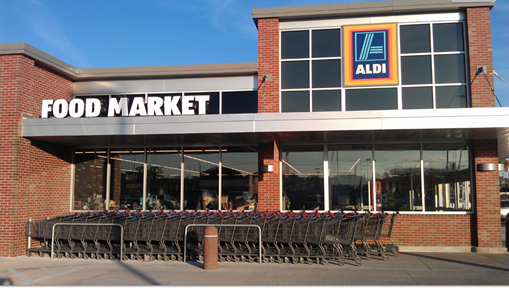 I was excited about that because Aldi is relatively new here and I really had only been there twice. Aldi has a lot of brands exclusive to them and I was asked to try some of their wines and cheeses. 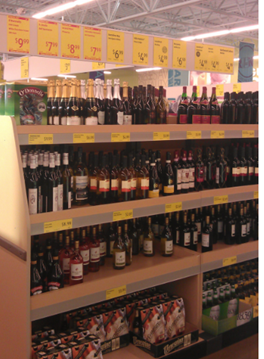 I remember the first time I was there that I was a little surprised they had wine and how inexpensive it was. I don’t know much about wine, remember my “How Not To Cook A Chicken” debacle? So, we chose a few that we thought we might enjoy. We did attend our first wine tasting in Colorado this summer at Andrea from Greenbacks Gal’s home! She had a sommelier come in and teach us all about wine – it was great cause I knew nothing! She was an awesome hostess, too! I know that I like Irish Crème, I used to love my Starbucks coffee with it, but, they quit using it, so I was excited to see they had O’Donnell’s Irish Cream, it was yummy! Hubby loved it in his coffee, too! We also bought edenVale Creamy Havarti – which I love, Brie, and Honey Goat Cheese. 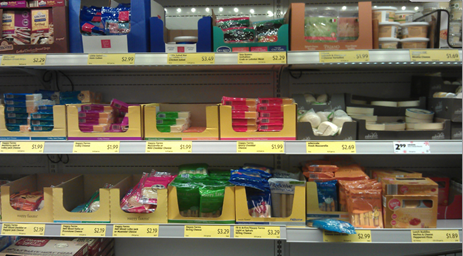 As well as Savoritz Entertainment Crackers – a Six Cracker Assortment. We paired the cheeses with Villa Malizia Pinot Grigio and Gonfalone Chianti. I enjoyed the Honey Goat Cheese with the Pinot Grigio – normally I wouldn’t like the Honey Goat Cheese cause it was sweet and I wouldn’t like the Pinot cause it wasn’t sweet (yeah – I’m weird! lol). But, because the cheese was sweet and the wine wasn’t, they were really good together! They also have a great selection of desserts: eclairs, truffles and cheesecake! Anywhere else it would have been very difficult to walk away with all of that for $50! Alissa » Maybe it’s a local distributors issue in your area or something? Alissa » Ah, well now I know! LOL I have never been there, but, I am planning to go there this summer – pretty excited!